Is there a minimum contract length for an Ausmed subscription? Why can't I subscribe with my email address? Can my company or organisation subscribe? Q: I'm thinking about subscribing, but would like to know more about your service. What does it entail? A: Firstly, I'd like to say it's great that you're thinking about becoming an Ausmed subscriber! With the recent advancements in modern information technology and the growing experience of our Online team, our subscription service is fast becoming the cornerstone of Ausmed Education. As a result, we're continuing to look at ways to improve the experience of our subscribers online to ensure that ensure that our content is as enjoyable and easy-to-use as possible. To find out more about the benefits of being an Ausmed subscriber in a bit more detail, click here. Q: What is the minimum contract length for an Ausmed subscription? A: There isn't one. An Ausmed Subscription is flexible and easy to understand. You can cancel or suspend your subscription at any time. This means that there are no contracts or lock-in periods for Ausmed subscriptions! A: Really! We're confident in the product and support quality offered, and feel you'll want to stay! Q: Whenever I try to subscribe and I enter my email, a message appears saying "It looks like this email has been used already. Try another one." How do I fix this? A: This is a common issue for people trying to subscribe to Ausmed for this first time. The problem occurs because the email address in question has already been used to create a free profile with Ausmed, and only one profile can be created per email address. Q: But I've never subscribed to Ausmed, how can I have a profile? A: A profile is different to a subscription. You can also have an Ausmed profile without having a subscription. For example, someone might choose to start their free CPD Organiser without subscribing. In this case, they have created an Ausmed profile using their email address, but are not paying to access our online content. Q: I don't remember my username and password. How do I find these? A: To find out your Ausmed username, click here and enter your email address. Then, to reset your Ausmed password, click here and enter your email address. Q: Now what do I do to subscribe? A: Once you have these details, you can log in to your profile by going to the Ausmed homepage (which can be found here) and clicking on the blue Login/Sign Up button, filling in your username and password, and clicking the blue Sign In button. Once logged in, click on either the Subscription or Start a Subscription buttons at the top of the page. Q: Our workplace is interested in starting a subscription with Ausmed. Can we do this? 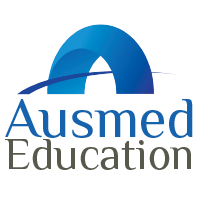 A: Ausmed does offer organisational subscription for it's online education. Q: What is the cost of an organisational subscription? A: The rate of the subscription is dependent on the expected number of subscribers. Q: I'm keen to find out more. How do I go about doing this? Q: I can't find anywhere on my profile to cancel my subscription. How do I do this?